The six-wheeled concept can drive itself for over 6,000 miles with two passengers on board. 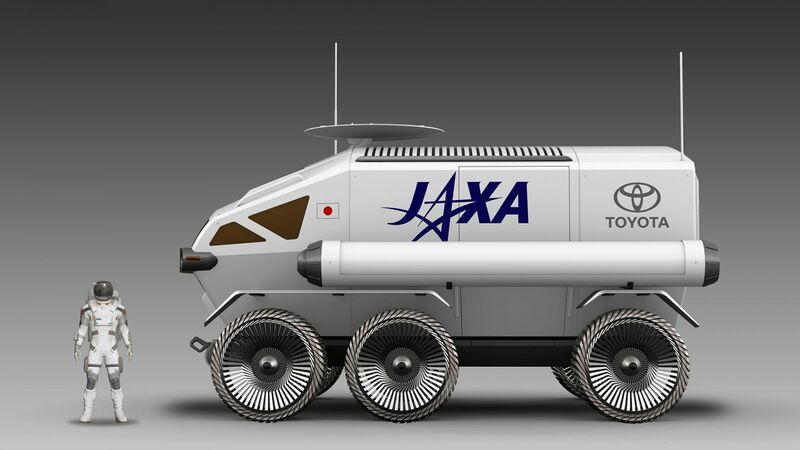 Japan’s Aerospace Exploration Agency (JAXA) is officially partnering with Japanese automotive giant Toyota to build a six-wheeled, self-driving vehicle to explore the surface of the Moon. Japan is hoping to launch the vehicle to the Moon as soon as 2029. Since there’s no atmosphere, a ton of radiation, and harsh temperature conditions, JAXA argues that a space mobility vehicle is necessary. The rover will be able to carry two passengers — or four in an emergency — for more than 6,200 miles (10,000 km) across the lunar surface. The vehicle concept is about twice as wide and twice as tall as a 2019 Toyota 4Runner SUV. Power will come from an array of replaceable fuel cells which will be charged over time using foldable solar panels. “Fuel cells, which use clean power-generation methods, emit only water, and, because of their high energy density, they can provide a lot of energy, making them especially suited for the project being discussed with JAXA,” said Toyota Executive Vice President Shigeki Terashi in a press release. Today’s announcement is only a first step in an very ambitious project. 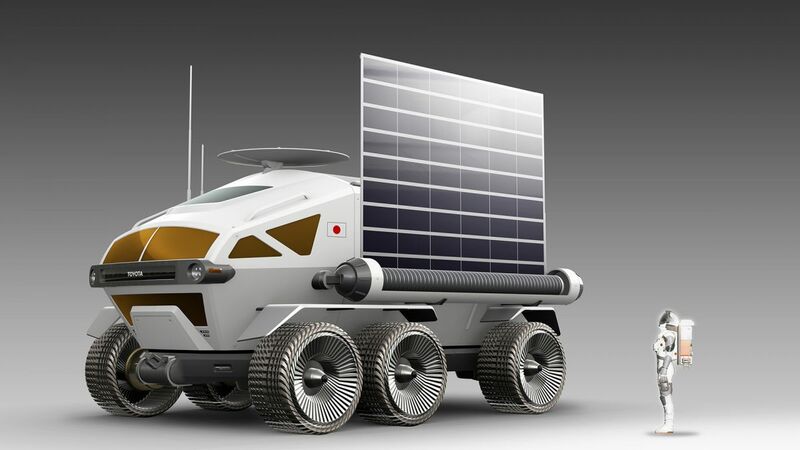 The plan is first to “accelerate their ongoing joint study of a manned, pressurized rover that employs fuel cell electric vehicle technologies,” according to a press release. The vehicle has been in the works, conceptually, since May 2018. 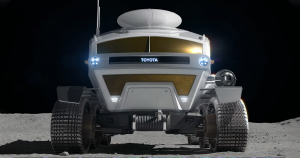 Eventually, Japan is ready to send its Toyota rover to the Moon within the next decade.